Earwig – A RROSE IN A PROSE REVIVAL! 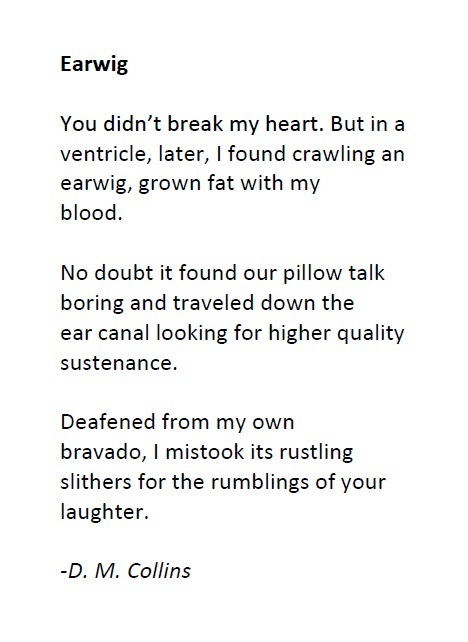 Here’s a poem I read at Sunday’s A Rrose in a Prose. I think it’s not too shabby. Certainly it sounded pretty good with the music of Cardoo backing it.